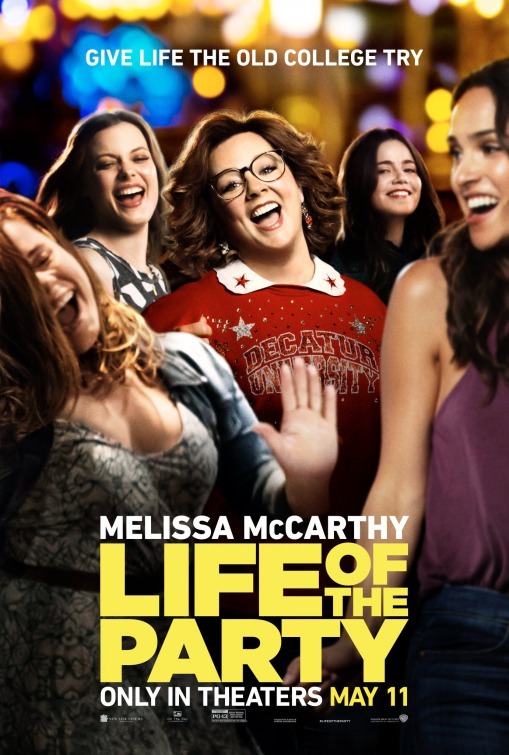 Synopsis: When her husband suddenly dumps her, longtime dedicated housewife Deanna turns regret into re-set by going back to college – landing in the same class and school as her daughter. 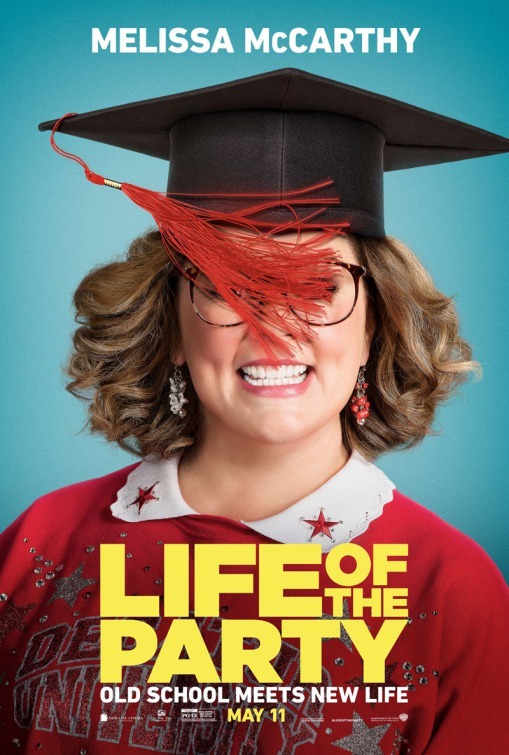 Thoughts: The smartest thing the makers of Life of the Party did was refrain from including the phrase “From the folks that brought you Tammy!” in their marketing materials. Yes, Melissa McCarthy (Spy) has reteamed with her husband Ben Falcone (Office Christmas Party) on another comedy but this one looks considerably less revolting…so there’s a glimmer of funny hope to be had. Reteaming for the third time (2016’s The Boss was another step in the right direction) Falcone directs a script he and McCarthy co-wrote and while it may seem a bit like the sorta-classic Rodney Dangerfield 1986 comedy Back to School, McCarthy has put her own shine on things. No McCarthy vehicle is complete without a scene of her getting knocked down and the trailer gets that one out of the way immediately so…spoiler alert! McCarthy’s been absent since the female-led Ghostbusters fizzled in 2016 but if Life of the Party is as lively as it looks it could get her back in Hollywood’s good graces.